The first time Joan told me she was making Tamale Pie I pictured some kind of gooey desert made from those red hot tamale candies you get at the movie theaters. Spoiler alert – I was wrong! 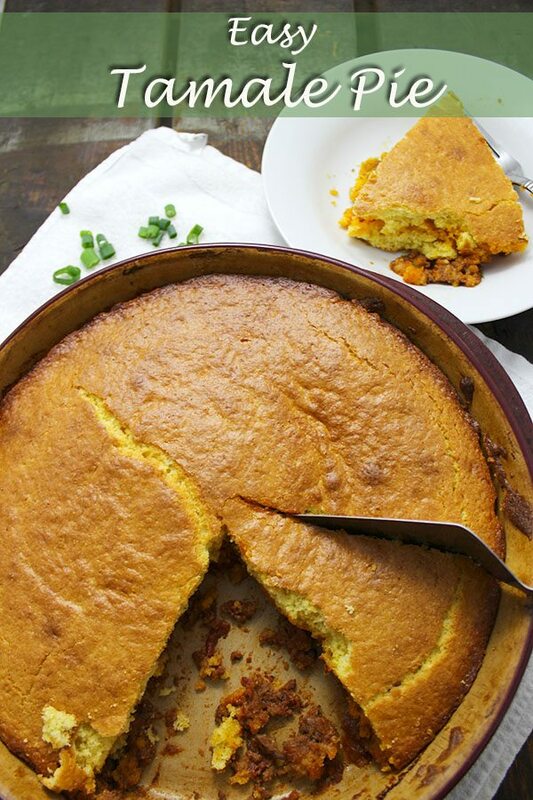 Tamale Pie is basically cornbread and the tastes of Mexico all mixed together and baked in one delicious simple pan. The best part is that even a not so enthusiastic cook <like myself> can have this dish ready for dinner in no time. YUM!! This will quickly become a family favorite, like it is in our homes! We make it at least once a week. Super easy.